Many of our gallbladder patients struggle with getting enough protein and finding a source that will not cause them gallbladder attacks, trigger an inflammatory response, or worsen their symptoms. 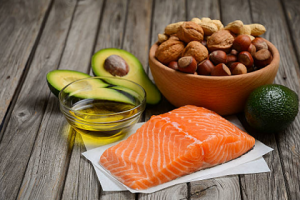 Unfortunately, a lot of protein-rich foods also come with fats that are often not tolerated by the body. Eggs, chicken, and pork are among the most common allergens which we have specifically categorized under the restricted food list of our recommended Gallbladder Diet. Alternative protein sources for those with gallbladder diseases, food intolerances, and other related gastrointestinal conditions are cold water fishes, Nutritional Yeast Flakes as well as collagen and gelatin. Collagen and gelatin are proteins that are widely used for food, medicine, and cosmetics because of their excellent qualities. They are biocompatible, which means that they do not produce toxic or immunological responses when exposed to the body or any living tissue. They also have weak antigenicity, which means that they won’t elicit an immune response when ingested – great news for those suffering from chronic inflammation, allergies, and autoimmune diseases. Collagen and gelatin protein are also biodegradable and easily absorbed by the body. Collagen is a protein found in the muscles, skin, bones, and connective tissues of humans and animals. It is the most abundant protein in the body which holds all living tissues together and is associated with muscular growth, elasticity and regeneration of skin, and the integrity of joints and bones. As we age, our natural collagen production declines, resulting in the slow deterioration of collagen fibers all over the body. Low collagen levels cause saggy and wrinkled skin, loss of cartilage, joint discomfort, bone loss, loss of muscle mass, and impaired mobility among others. In fact, it is widely believed that many chronic diseases are associated with the collagen protein either directly or indirectly. There are approximately more than 28 different types of collagen. Among these, the most common are types 1, 2, 3, 4, 5, and 10.Collagen is called by different names – hydrolyzed collagen, collagen hydrolysate, and collagen peptides. These three names are used to refer to collagen that has passed through the hydrolysate process which turns the protein into smaller pieces or shorter chain amino acids. These terms, however, are not the different types of collagen. This is the strongest and most abundant type of collagen protein present in the body. Over 90% of collagen in the body belongs to this type. Type 1 collagen helps with the repair of damaged tissues, facilitates new tissue growth, and gives the skin its elastic quality. It also helps with wound healing and bone formation. It is synthesized by the body as a natural response to injury. Type 1 collagen is found in tendons, bones, skin tissues, and the lining of the gastrointestinal tract. This collagen type is crucial for the prevention of age-related joint pain and arthritis. It is also beneficial for athletes whose joints are at risk of early wear and tear. This type of collagen is mostly found in cartilages and tissues in between bones, the eyes, the ears, and the nose. If you believe in the saying “eat what ails you”, then it might be worth it to load up on this type of collagen if you have painful joints or if you are experiencing arthritis. This type of collagen is commonly seen alongside type 1, making it the second most abundant type. Type 3 collagen is found the walls of arteries and other hollow organs. It is critical for the development and maintenance of healthy cardiovascular tissues and blood vessels and is also important in the production of type 1 collagen structures. Type 4 collagen is very crucial in the formation of basal lamina, a thin layer of gel-like fluid which serves as a cushion for surrounding organs, muscles, and fat. Basal lamina also supports vascular function, digestion, respiration, and other systems. This type of collagen also serves as part of the capillaries’ filtration system. This type of collagen is most important during pregnancy or gestation as it is needed to make the surface of cells, as well as fibril-structures like the corneal tissue and the hair. It is also important in the production of other collagens. Type 10 collagen helps with bone growth as well as the healing and formation of bone structures. This type of collagen is involved in endochondral ossification, the process of bone tissue creation. Bovine (cow) – Collagen from cows are the most common. It is a rich source of Types 1 and 3 collagen. 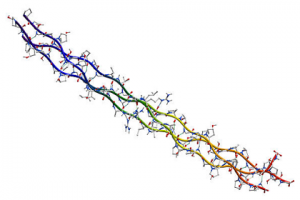 Porcine (pig) – This collagen source is most similar to human collagen. Piscine (fish) – Collagen peptides from fish are said to be the best and most effective in raising Type 1 and overall collagen levels in the body. Fowl (chicken) – This collagen source is known to be most effective for cartilage support. Type 2 collagen is often extracted and derived from chicken. Egg collagen – Collagen found in the membrane of egg shells and egg whites is rich with Type 1 collagen. It also has other collagen types like 3, 4 and 10. How about the Gelatin Protein? What is it? Gelatin is basically a part of a broken-down collagen. It is an odorless, tasteless mixture of peptides and proteins produced from hydrolyzed collagen. Gelatin is from the same source as collagen and although they have the same amino acid profile, they have different chemical properties. Gelatin, just like collagen has a lot of culinary and non-culinary uses. It is used to make glue and photography films. Gelatin is also used by pharmaceutical companies to help make easy-to-swallow gel capsules and to hide the unpleasant taste and odors of some substances that need to be ingested. As food, it is commonly found in fruit snacks, Jello, marshmallows, soups and sauces, or is used as a binder when baking. Bovine – If you are looking for gelatin that is made from grass-fed cows, bovine is the way to go. Porcine – Porcine gelatin is primarily made from pigs’ hide and bones. These pigs are fed a mixed diet. This type is usually cheaper than bovine. Isinglass – This type of gelatin is rare but still available in selected places. It is sourced and extracted from the air bladders of the sturgeon fish. Agar-agar – Many vegans prefer this type of gelatin. Agar-agar, also known as the Japanese gelatin, is a dried seaweed often used as a setting agent. It is available in powder, strands, or block forms. Agar is a low calorie food with a little amount of protein and carbohydrates but it is not a source of collagen. Carrageenan – This type of gelatin is also called Irish moss. It is derived from seaweed that is abundant in Ireland and is often used to make meads and homebrews. Just like agar-agar, it is a common gelatin alternative for vegans. However, it is not a good protein or collagen source. Pectin – Jellies, jams, and preserves often use this type of gelatin. Pectin is a naturally occurring gel in fruits and vegetables. It is high in fiber and carbohydrates but does not provide protein or collagen to the body. In terms of health benefits, collagen and gelatin are relatively equal. However, when it comes to digestibility and bioavailability, the two have slight differences. 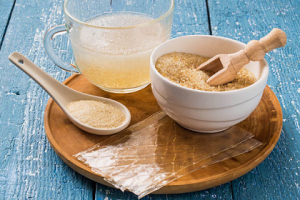 Collagen and gelatin are known to support the gut’s healing process. Individuals suffering from leaky gut may benefit from a regular dose of collagen and gelatin as they help restore the normal mucosal layer and strengthen the gut lining. This is primarily due to their glycine and proline amino acid content. Glycine has proven anti-inflammatory and immunomodulatory properties. Proline, on the other hand, has the same gut-protecting and repairing effect. Regular intake of collagen and gelatin may also help prevent fluid retention and constipation. Digestive symptoms caused by inflammation may be minimized by a healthy collagen intake. Glycine in collagen is a well-studied compound in the repair and maintenance of the liver. Studies have proven that glycine can be used to reduce alcohol and non-alcohol-induced liver damage. It also helps minimize the harmful effects of alcohol on the liver by improving alcohol metabolism in the stomach. Lastly, collagen helps in detoxifying the body which indirectly assists the liver with its natural detox functions. 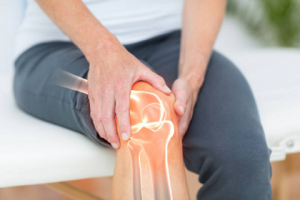 Collagen and gelatin are widely known for their ability to ease symptoms of osteoarthritis and rheumatoid arthritis. Collagen is rich in calcium, magnesium, silicon, phosphorus, and sulfur, making it a potent agent for bone healing and strengthening. For our bones to maintain their density and power, there should be a steady supply of collagen. Studies show that taking collagen can help ease symptoms of inflammation like pain and swelling. This is because of its ability to influence the amount of inflammatory immune modulators (like IL-6 and IL-8) released by cells, contributing to tissue damage and impaired healing. Collagen therefore improves the recovery of joints and muscles and increases performance among competitive athletes. Other anti-inflammatory effects of collagen also come from its effect on gut health. A leaky gut contributes a lot to systemic inflammation. In our past blog, we discussed how sleep influences digestion and other crucial functions of various body systems. Collagen is therefore beneficial for GI and gallbladder patients as it may help them achieve a restful sleep. Studies show that collagen and gelatin can improve sleep quality and reduce daytime sleepiness. Poor gut health = poor brain health. Collagen therefore helps achieve better overall cognitive function. Glycine in collagen also has anti-anxiety and anti-depressant effects. 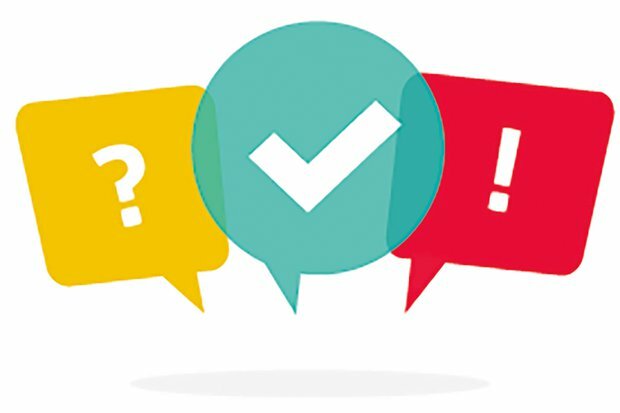 When glycine is not properly metabolized, it may result in various developmental problems, lethargy, seizures, and mental retardation. Among the collagen and gelatin benefits, this must be the most famous. As the primary building block of the skin, collagen is crucial to achieve a youthful, healthy glow. This is why collagen is known as one of the best natural anti-aging compounds. It improves skin moisture and elasticity while it reduces dryness and roughness. Without collagen, skins cells won’t be renewed and protected from UV rays and free radical damage. There are many ways to incorporate collagen and gelatin to your daily diet. Protein sources like fish, beef, chicken, and egg are rich with it. However, these food items are not tolerated by everyone. Many individuals therefore opt to use powders or capsules. These can be used in smoothies, sauces, soups, and baking. 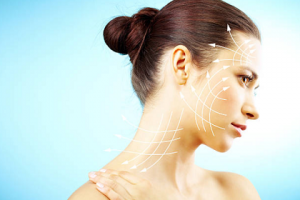 If you are new to collagen supplementation it is important to introduce the compounds slowly. For new users, one or half a teaspoon of collagen protein daily is enough. The dosage may gradually increase every week or so until it reaches the average amount needed by a typical person which is 3-6 Tbsp of collagen daily. Too much intake of gelatin may cause bloating, stomach ache, and loss of appetite. Vitamin C-rich foods are crucial in the synthesis of collagen. Vitamin A-rich foods like carrots and sweet potatoes help restore damaged collagen. Lycopene found in watermelon, tomato, grapefruit, and papaya boosts collagen production. Food items rich in sulfur like cauliflower, broccoli, onions, and leeks also play a crucial role in collagen production. Nothing beats the natural sources of collagen and gelatin. However, we don’t always have the luxury of time to be able to prepare home-cooked healthy meals. Also, making a bone broth from scratch requires a lot of time and effort. This product not only provides a rich collagen source, it also offers a vast array of vitamins, minerals, amino acids, and glucosaminoglycans. A bone broth powder is actually dehydrated bone broth and turned into a powder form. To use it, it can be mixed with water or blended in a shake or juice. It may also be rehydrated and warmed up. To make sure that you’re getting quality powder with no questionable processing methods, try this Necessity Nutrition Brand. For a high quality blend of chicken, grass-fed beef, fish, and egg shell membrane collagen, try Ancient Nutrition’s Multi Collagen Protein Powder and Multi Collagen Protein Capsules. They call it multi-collagen because of its numerous sources and the presence of various types of collagen – Types 1, 2, 3, 5, and 10. If you have gallbladder problems, do not worry about the eggs in this collagen to cause you an attack. Unless, you are allergic to eggs, collagen from egg shells membranes shouldn’t be a problem. Common store bought gelatin brands do not usually give a breakdown of all its sources. With Great Lakes, you are sure that it is Kosher, Paleo-friendly, grass-fed, and pasture-raised beef gelatin. Gómez-Guillén, M. C., Giménez, B., López-Caballero, M. A., & Montero, M. P. (2011). Functional and bioactive properties of collagen and gelatin from alternative sources: A review. Food hydrocolloids, 25(8), 1813-1827. Hakuta, A., Yamaguchi, Y., Okawa, T., Yamamoto, S., Sakai, Y., & Aihara, M. (2017). Anti-inflammatory effect of collagen tripeptide in atopic dermatitis. Journal of dermatological science, 88(3), 357-364. Liu, D., Nikoo, M., Boran, G., Zhou, P., & Regenstein, J. M. (2015). Collagen and gelatin. Annual review of food science and technology, 6, 527-557. Prockop, D. J., Kivirikko, K. I., Tuderman, L., & Guzman, N. A. (1979). The biosynthesis of collagen and its disorders. New England Journal of Medicine, 301(1), 13-23. Wiegand, C., Abel, M., Ruth, P., & Hipler, U. C. (2012, January). Anti-inflammatory effects of a collagencontaining wound dressing in a cell-based inflammation model in vitro. In 4th International Workshop on Wound Technology (IWWT) (pp. 15-16).